For high-volume loading operations where flexibility is key, the Mobile Loading Dock (available with Solar Power & Push Button Operation) easily moves and engages to load trailers anywhere. 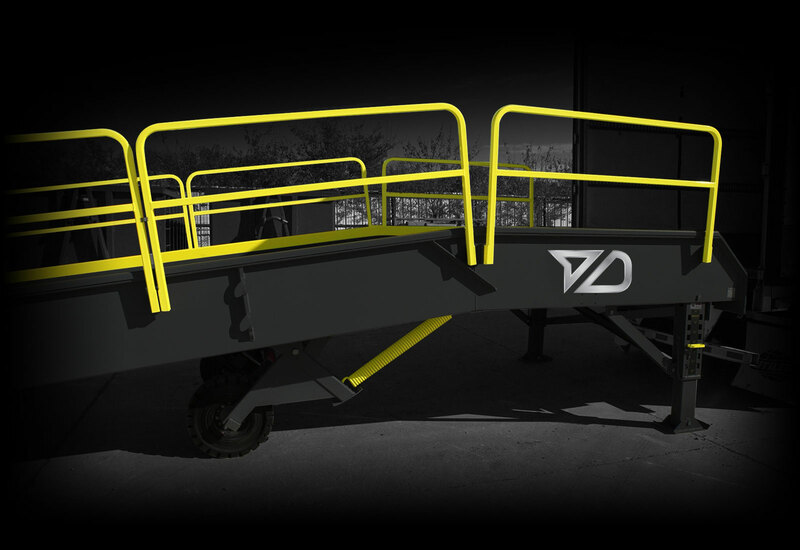 This “mobile yard ramp on steroids” intuitively eliminates a) intense manual pumping, b) “single-fork” forklift engagement (there’s a reason there are two), and c) the threat of a flat tire while hauling massive loads. This heavy-steel loading dock is easily moved by a forklift to accommodate limited property size or environmental restrictions, and then returned for storage when not in use. The world's smartest loading dock eliminates unnecessary hazards of mobile loading.